According to researchers at Duke University, habits account for about 40 percent of our behaviors on any given day. Understanding how to build new habits (and how your current ones work) is essential for making progress in your health, your happiness, and your life in general. But there can be a lot of information out there and most of it isn’t very simple to digest. 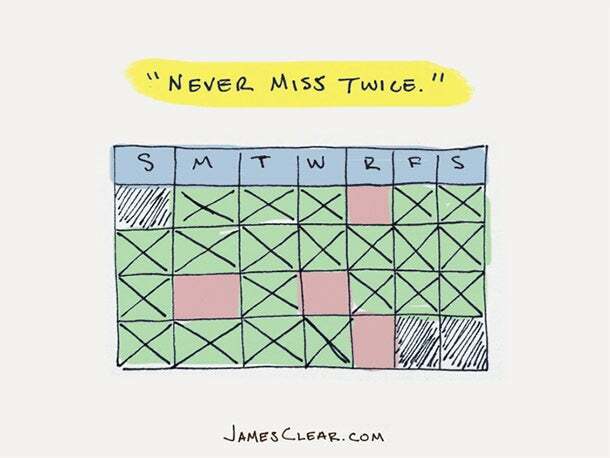 To solve this problem and break things down in a very simple manner, I have created this strategy guide for building new habits that actually stick. Even more detailed information is available in my Habits Workshop and in my free guide, Transform Your Habits. But the basic principles mentioned in this article will be more than enough to get you going. 1. Start with an incredibly small habit. Solve this problem by picking a new habit that is easy enough that you don’t need motivation to do it. Rather than starting with 50 pushups per day, start with 5 pushups per day. Rather than trying to meditate for 10 minutes per day, start by meditating for one minute per day. 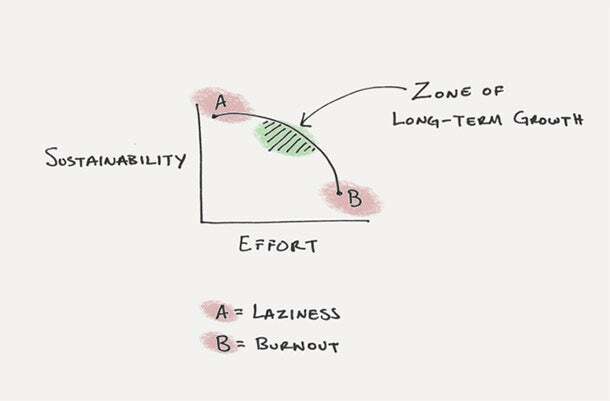 Make it easy enough that you can get it done without motivation. 2. Increase your habit in very small ways. One percent improvements add up surprisingly fast. So do one percent declines. Rather than trying to do something amazing from the beginning, start small and gradually improve. Along the way, your willpower and motivation will increase, which will make it easier to stick to your habit for good. 3. 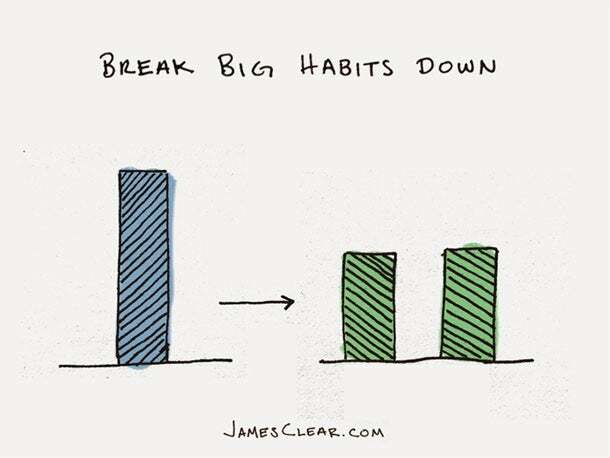 As you build up, break habits into chunks. 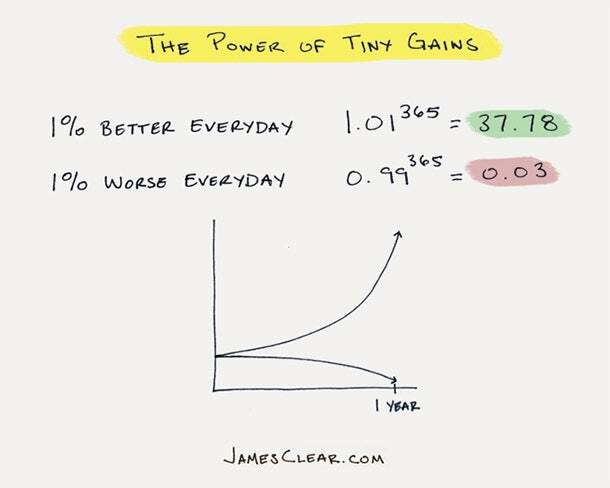 If you continue adding one percent each day, then you’ll find yourself increasing very quickly within two or three months. It is important to keep each habit reasonable, so that you can maintain momentum and make the behavior as easy as possible to accomplish. Building up to 20 minutes of meditation? Split it into two segments of 10 minutes at first. Trying to do 50 pushups per day? Five sets of 10 might be much easier as you make your way there. 4. When you slip, get back on track quickly. Top performers make mistakes, commit errors, and get off track just like everyone else. The difference is that they get back on track as quickly as possible. Research has shown that missing your habit once, no matter when it occurs, has no measurable impact on your long-term progress. Rather than trying to be perfect, abandon your all-or-nothing mentality. You shouldn’t expect to fail, but you should plan for failure. Take some time to consider what will prevent your habit from happening. What are some things that are likely to get in your way? What are some daily emergencies that are likely to pull you off course? How can you plan to work around these issues? Or, at least, how you can bounce back quickly from them and get back on track? You just need to be consistent, not perfect. Focus on building the identity of someone who never misses a habit twice. 5. Be patient. Stick to a pace you can sustain. Learning to be patient is perhaps the most critical skill of all. You can make incredible progress if you are consistent and patient. If you are adding weight in the gym, you should probably go slower than you think. If you are adding daily sales calls to your business strategy, you should probably start with fewer than you expect to handle. Patience is everything. Do things you can sustain. New habits should feel easy, especially in the beginning. 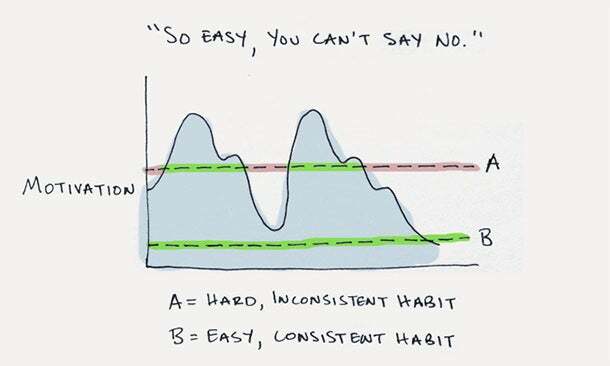 If you stay consistent and continue increasing your habit it will get hard enough, fast enough. It always does.